An FHA loan is a type of home loan insured by the Federal Housing Administration. With this type of loan, borrowers face a smaller down payment and lower closing costs. Homeowners with little money and less-than-perfect credit who would not ordinarily qualify for a conventional mortgage may also qualify due to the relaxed lending standards. Fairfax Mortgage Investments in Fairfax, VA offers FHA loans to current and prospective homeowners in Northern Virginia, Maryland, and Washington DC. We have more than 34 years of experience in the business and offer a wide range of loans and financing services to meet every homeowner’s unique needs. FHA loans are designed for borrowers with a low-to-moderate income who are unable to make a large down payment. This type of loan allows for a down payment of as little as 3.5 percent on a mortgage, allowing individuals with little money the chance to become homeowners. 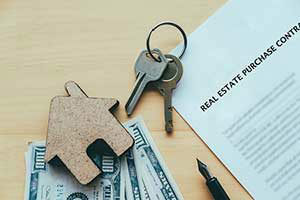 While the requirements are more lax, FHA insured loans require mortgage insurance to protect lenders against financial losses in the event that the mortgage defaults. As of 2017, FHA loans allow borrowers to obtain up to 96.5 percent of the value of a home. The remaining amount may come from a grant or gift. FHA is popular among first-time homebuyers for a variety of reasons. Individuals with credit scores as low as 500 may be eligible for a home loan. Borrowers with credit scores between 500 and 579 can typically obtain an FHA loan with a down payment of 10 percent. For those with a credit score over 580, the amount lowers to just 3.5 percent. In some instances, people who have gone through foreclosure or bankruptcy can still qualify for an FHA loan. However, you can expect the interest rate to be higher. As FHA loans require mortgage insurance, you will need to add those payments into your budget. Borrowers who obtain an FHA loan will be responsible for a single upfront mortgage insurance premium that is equal to 1.75 percent of the loan amount before closing the loan. Borrowers will also need to pay ongoing mortgage insurance in the form of an annual premium that is automatically added into your monthly mortgage payments. These additional insurance payments may range from .45 percent to 1.05 percent of the loan amount. If you choose, you can also have the insurance premium added to the borrowed amount and the lender will pay the premium on your behalf. In addition to having a minimal down payment to put towards the purchase price of the home, an FHA loan has other requirements. You will need to have a valid Social Security number and provide proof of your U.S. citizenship, eligibility to work in the U.S., or evidence of legal permanent residency. For this type of loan, you will also need to purchase a one- to four-unit property, and be old enough to sign a mortgage under state borrowing laws. We will also look at other things when determining your eligibility for a FHA loan. First, a borrower must have proof of a steady income or history of employment and have had to have worked for the same employer for at least two years. If you are self-employed, you will need to have your income documented by tax returns and show a current profit and loss statement and a year-to-date balance sheet. If you have gone through a bankruptcy in the past, you must be at least two years out of bankruptcy and must prove that it was an uncontrollable circumstance that is not likely to happen again. 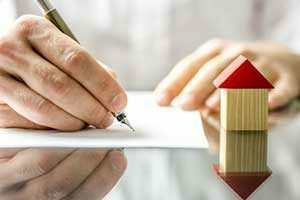 What Can a FHA-Insured Loan Cover? While house hunting, you will find many types of homes that are covered by FHA loans. Both mobile and manufactured homes are eligible for FHA financing. 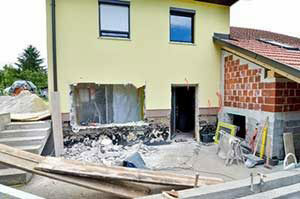 If you are seeking a more affordable home, you may have your eye on a fixer upper. Fixer uppers are typically covered by FHA loans and the extra money you have in your pocket can help you pay for necessarily repairs and renovations. For homeowners who want to go green, there are also FHA energy efficient mortgages that allow you to add expenses for energy-related home improvements. Before you can obtain an FHA loan, you must find a lender that is approved by the Federal Housing Authority. At Fairfax Mortgage Investments, we work with borrowers who seek FHA loans and will work hard to provide optimal terms. When you contact us about applying for a loan, we will provide a custom quote. By using information such as your credit score, monthly debts, and income, we can determine what interest rate you would qualify for. You can then go on to apply and get pre-approved for a FHA loan. If you choose to go with an FHA loan, your closing costs cannot be financed into the final loan amount. 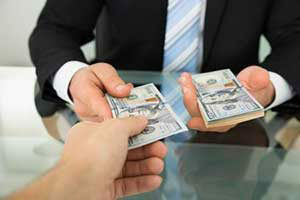 You can ask to have them paid by the seller or lender. If these are not an option, a down payment can also come as a gift from an employer, family member, or down payment assistance group. A cosigner can also help the borrower if they choose to. Also look for ways to reduce your monthly payments. If you do not have traditional sources of credit, you can look for non-traditional sources such as insurance or utility payments to help build up your credit. An FHA home loan is much like any other type of mortgage loan, but with one major difference. It is insured through the federal government. At Fairfax Mortgage Investments, we will work with you to find the very best loan package that suits your budget and goals. Our loan experts have helped thousands of clients become happy homeowners and will work hard to assist you throughout the home loan process. Call our office today to determine your eligibility or fill out our form online.